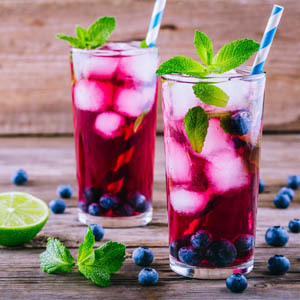 (Kalte Ente) Cold duck is a wine-champagne spritzer, humorously named in the 18th century, which is still a hugely popular summer bowle drink in Germany. 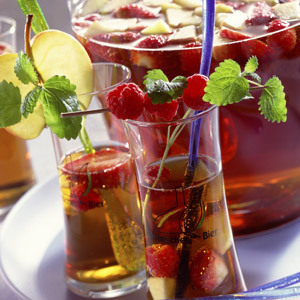 (Altbierbowle) Fresh fruits and berries combine with German dark beer in this tasty punch, perfect for summertime entertaining. 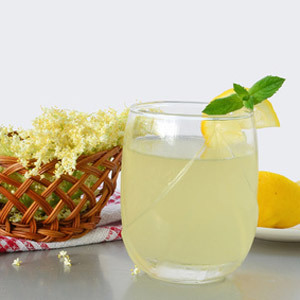 This refreshing and healthy German summer cocktail is made from elderberry flower syrup, sparkling wine and/or sparkling water. 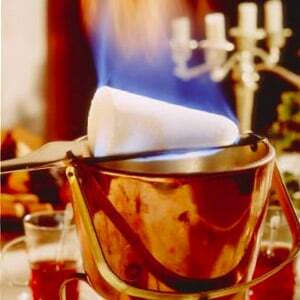 (Feuerzangenbowle) Germany's most spectacular holiday drink of red wine, juice and spices, prepared in a fireproof bowl. Please read important safety note. 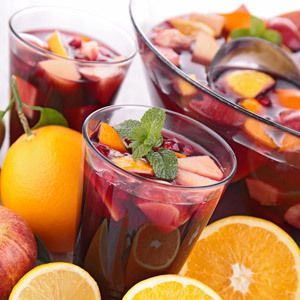 (Fruchtbowle) A flexible recipe for fresh fruit punch using whatever seasonal fruits are at the peak of ripeness and flavor, mixed with sekt or wine. 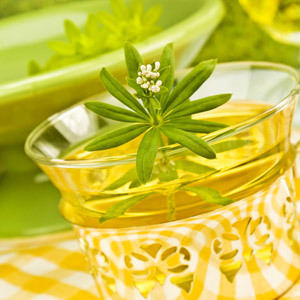 (Waldmeister Bowle) a refreshing alcoholic punch flavored with sweet woodruff, traditionally drunk as a spring aphrodisiac. 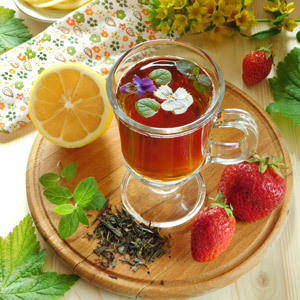 (Maibowle) Classic spring drink made from German dry white wine, woodruff, brandy, and sugar, garnished with colorful fruit and more woodruff herb. 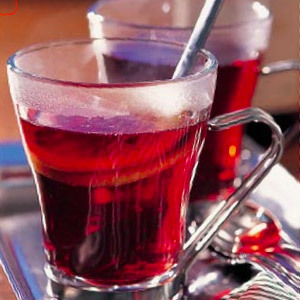 (Kinderpunsch) A flavorful hot fruit drink for young guests. Goes especially well with freshly-baked Christmas cookies and holiday celebrations. 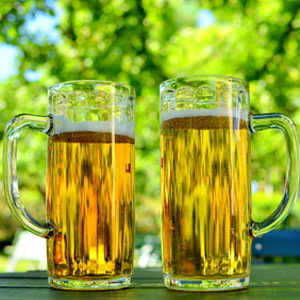 Combine the flavors of dark beer and lemon to make your own version of the Radler, an extremely popular German summer drink. 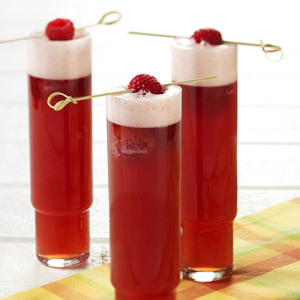 A refreshing summertime cooler made with German Hefeweizen wheat beer, sparkling wine and raspberries. Quick, easy, and delicious. 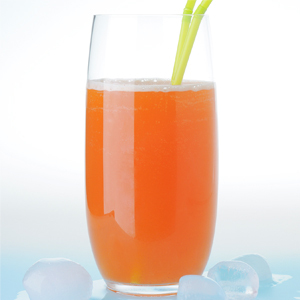 (Hagebutten Shake) Great tasting and healthy rosehip cooler summer drink made from rosehip jam with lemon, soda water and added flavor options. 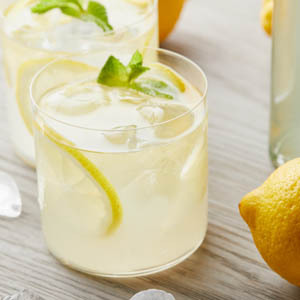 (Schottishe Limonade) Neither Scottish nor lemonade, this refreshing German summer drink is made from herbal tea and fruit juice. 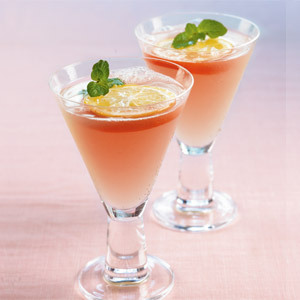 Fresh homemade pink lemonade gets its lovely pink color from German strawberry preserves and its bubbles from German sparkling water. 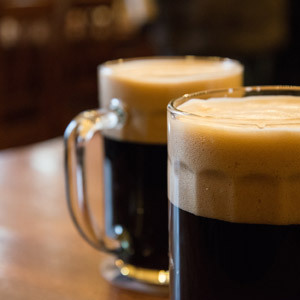 (Glühwein) The classic German spiced wine that's served warm at Christmas fairs and celebrations with tips for flavor variations. 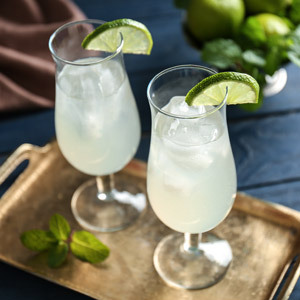 Easy recipe for German white wine spritzers and fruit juice spritzers (schorle), popular German summer coolers for hot summer days. 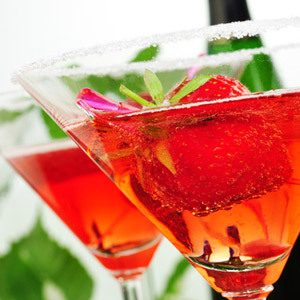 (Erdbeerbowle) A strawberry punch made from fresh berries, a touch of citrus and German white and sparkling wines. Perfect for a picnic or barbecue party.